Clean water is a basic human right. Still, too many low-income communities and communities of color are not receiving their right of clean water. They are being wronged and are suffering from contaminated drinking water due to failing infrastructure and polluted water and air. 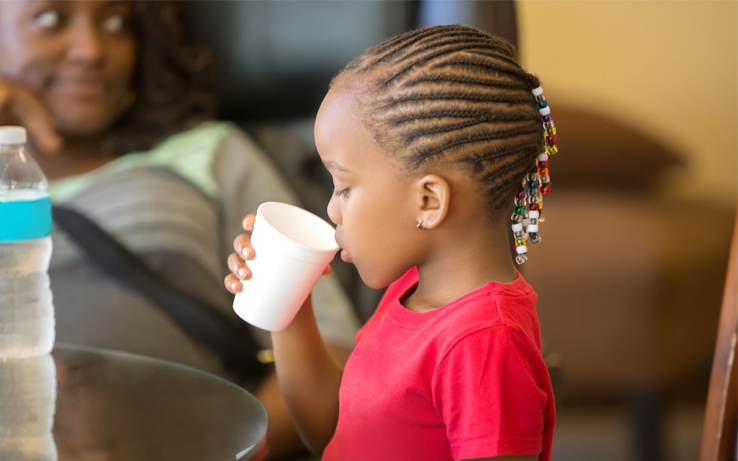 At the National Medical Association (NMA), we see firsthand how this crisis in clean water creates a variety of healthcare problems for black patients and their families. The NMA represents the voices of African American physicians and patients nationwide. We are your doctors in community hospitals, clinics and private practice who are on the frontline of healthcare for Black Americans. Our focus is health equity and closing gaps in disparity, a mission grounded in a baseline belief that we all have a right to healthy lives no matter our status or skin color. That’s why our mission demands we support and advocate for strong policies and funding around clean water and environmental health. As President of NMA, and an active member of the organization for over 30 years, I will continue to focus on the work of my predecessor by paying close attention to environmental health hazards that impact our communities. I grew up on the Southside of Chicago, where I continue to live and practice. Approximately 93% of the residents of Chicago’s Southside are black and for the last 29 years, my private practice in internal medicine has seen the effects of air and water pollution on my patients. In addition to Flint, Michigan, high levels of lead in drinking water have been found in Black communities in Washington, D.C.; Durham and Greenville North Carolina; Jackson, Mississippi; and many other cities. Many other substances contaminate our water, including fracking contaminants, PFOAS, pesticides, PAHs, PCBs, and pharmaceuticals. Black children are often disproportionately exposed and affected by these environmental contaminants. However, the Trump administration continues to slash the Environmental Protection Agency’s (EPA) Clean Water Rule. The administration has proposed deep budget cuts to the EPA, close to 30%, which would result in dirty air and water and hazardous pollution. Sources of drinking water are already facing incredible stress from the impacts of extreme weather, toxic chemicals, plastic waste, and more. The EPA’s proposed Dirty Water Rule will put drinking water at increased risk of pollution by stripping clear Clean Water Act safeguards from small streams and wetlands. This means unhealthy water flowing through our taps, our communities and our bodies. Too many Black communities are in areas exposed to environmental health dangers from highly toxic pollutants, extreme weather conditions, and failing infrastructures. Where you live shouldn’t determine if you get clean water. The Dirty Water Rule will heighten the water crisis for Black communities. It will turn back the clock to a time when fewer protections existed to safeguard people and wildlife from harmful pollution in our waters. The Dirty Water Rule would wipe out protections for vital parts of our natural water infrastructure, exacerbating this unjust situation. It would leave our communities facing greater health risks with more sick children and families. Although the EPA downsized its environmental justice division, Black communities need to be at the forefront for advocating the government to clean up toxic pollution and invest in badly needed water infrastructure. Call, email, and tweet your representative in Congress and the Senate and tell them that you do not support President Trump’s Dirty Water Rule. The NMA is a longtime advocate for environmental justice. Our NMA Commission on Environmental Health continues to address the increasingly negative effects of the environment on public health and health disparities in Black communities. We will continue to be a voice for justice in medicine and the elimination of health disparities, and we will continue to hold this administration accountable. If we are to uphold our purpose of protecting public health, preventing ailments and disease, and promoting healthier lives, it’s imperative that the administration upholds its EPA mission to protect public health and the environment by investing in badly needed water infrastructure and maintaining environmental policies that are good for everybody’s health.